My, oh, my. How time flies. Glossybox is in it's second year. On the 8th May, Glossybox will be in Covent Garden, Kimberley Wyatt & Amber Atherton will be hosting Glossybox's second birthday. There will be Glossybox countdown clock, counting down the minutes until they hand out Glossyboxes to the public for 10 minutes! Catch them at 12:30, 13:45, 14:30, 16:30, 17:30 and 18:45 and you to can have a free birthday box. So what is in this box*, if you've not yet seen or received your own, here we go. Animal testing free product -score. The scent of this isn't a harsh either, that's one thing that puts me off hairspray, the moment I start coughing my throat raw. I don't wear many hairstyles that require hairspray seeing as I'm wearing the hair wild & out. Mixing medium, always a handy thing to have in anyone's personal / professional make-up kit. I'd like to see how this compares to the mixing mediums I already own. I always think of this brand as one of my first brands when diving into the world of make-up, I haven't used much Collection products in quite a while. Will put this to the test. I was happy to see the Headline Colors nail polish in there, I had a few polishes from when they were called Killer Colours, viewing the new S/S range Poolside Party was one I wanted to try and score, it's the one I got and has become a sure thang favourite. It dries quickly and nice and vibrant, I have two coats on ... really should of cleaned it up more..oops. 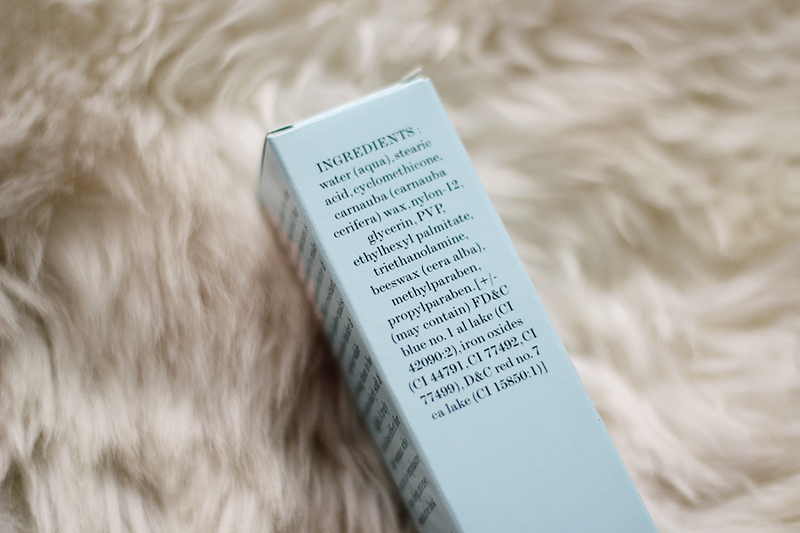 It's always nice to see Jelly Pong Pong in Glossybox, so far I've liked each JPP product. 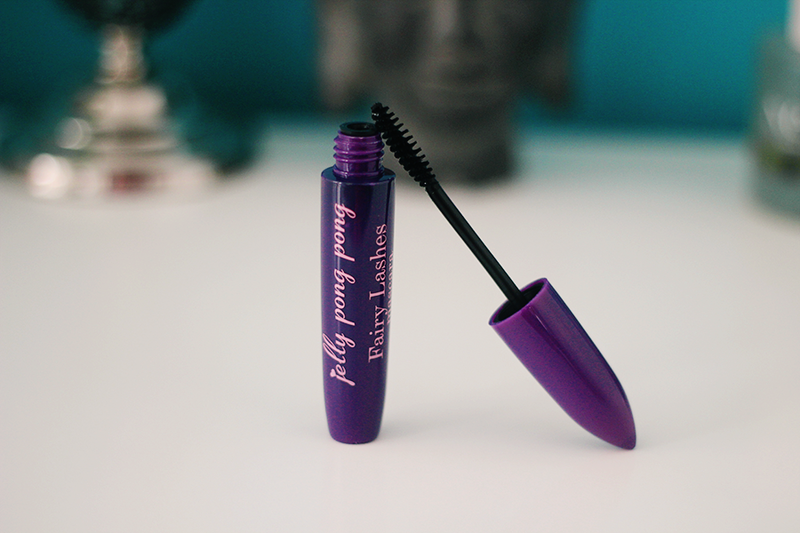 It's water resistant and designed to make the lashes curlier and thicker&nbsp. : A combination of blue lake & black pigments helps to intensify the colour for a truly deep, black effect. Look out for my review on this soon! Wait, is it me or are these all full sized products? 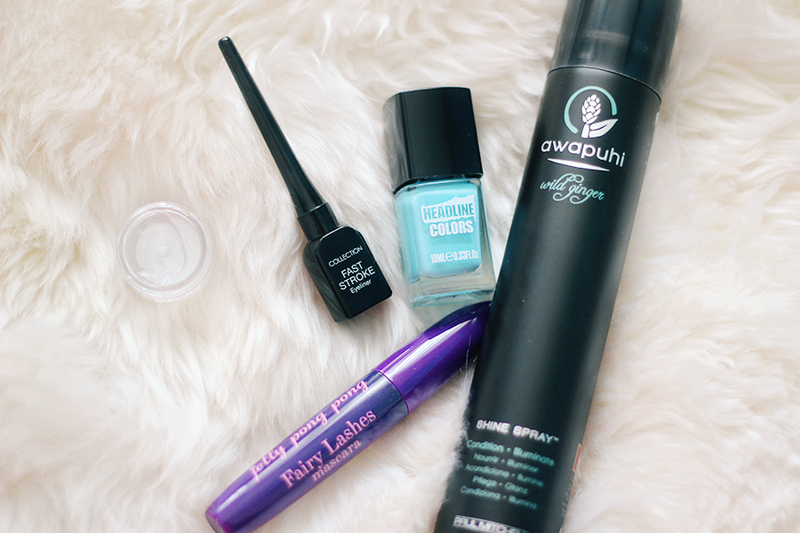 What did you get in your Glossybox? 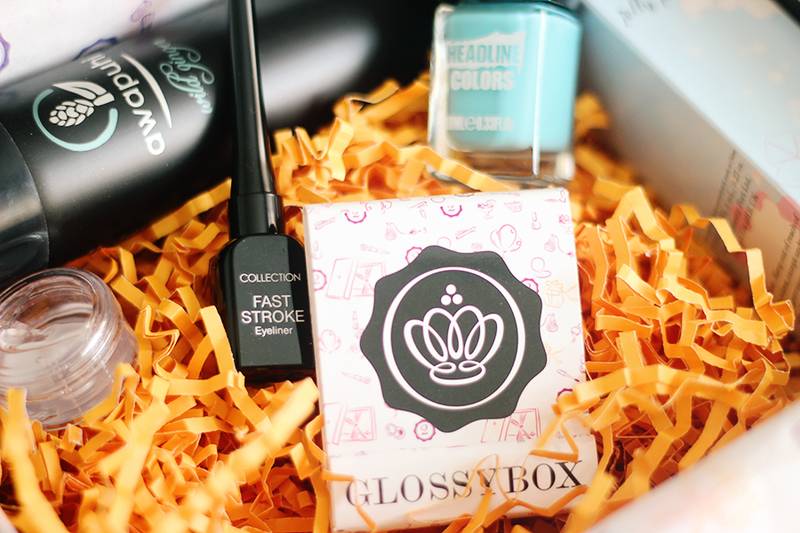 Glossybox is £10 + £2.95 per month subscription. 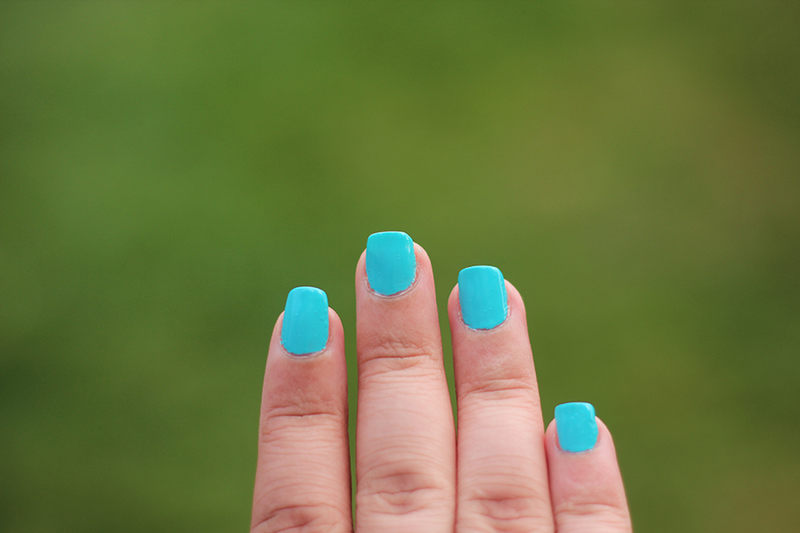 The colour of the nail polish is just gorgeous! The nail polish looks fab on you! Oh, wow! Looks like a good box this month.